We have used the pallet wood in numerous garden decor ideas already. This is the beauty of pallet wood that this could be used In all sort of furniture items for indoor and outdoor as well. The wood pallet is durable enough to tolerate all the extreme weather conditions. 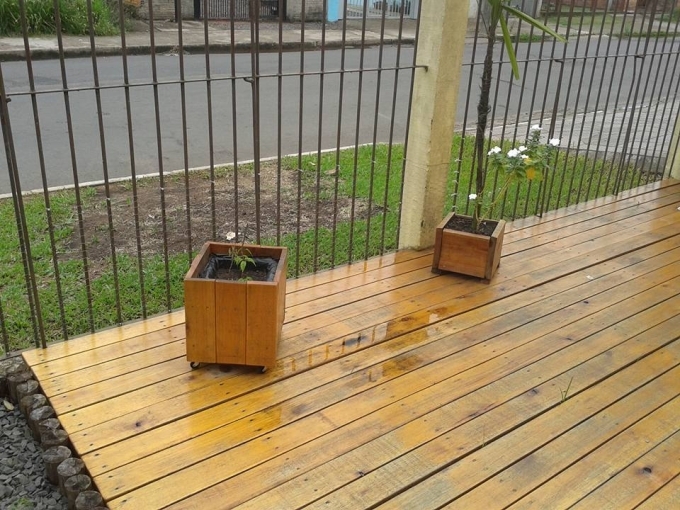 We have used the pallet wood furniture in sunshine and rains, they have never disappointed us at all. But we should take a bit care of them at our own without testing them. 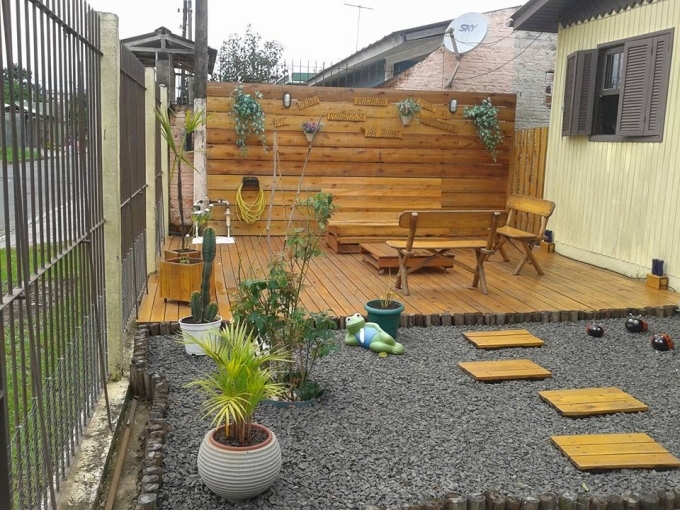 So, just buckle up for a pallet made garden deck which we are going to present here. The pallet wood deck is becoming trendy with the passage of time. This is the most appropriate way to set a stage for you furniture items and also to make them prominent. This is actually a leveled ground for you where you can place your furniture items and spend some quality time with your friends and family. 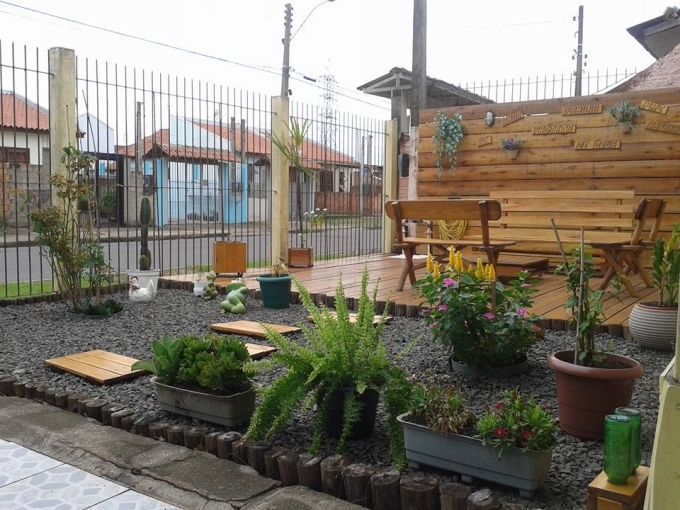 Not only it confines the place for sitting purpose but the wooden pallet deck is also used as a garden décor idea. The woody or rustic color just attracts everyone towards it, and it leaves behind a very solid impact. Here in this article we can see a number of furniture items made with the pallet wood, but all their prominence owes to the pallet wood deck. Seems like wooden flooring on a very large area. But actually this is a wood pallet deck that is frequently used in outdoor spaces whether it be a green landscape or your patio. 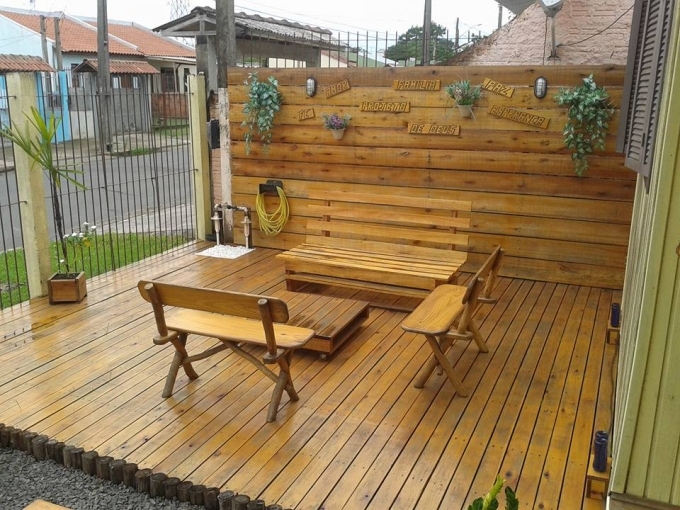 A huge quantity of pallet planks are needed in making this huge pallet wood deck. Making such projects have never been easy, they are so pretty time consuming as well, but when you come up with the final product you just seem to compromise all the pain and efforts.